Dance practice app for dancers, dance teachers, students and choreographers. Variable speed rhythms and counting. DanceTime Deluxe is the complete rhythm practice app with counting for dancers. It works on the iPhone, iPod Touch (iTouch) and iPad. DanceTime Deluxe contains over 26 different rhythms including American Tango, Bachata, Bellydance, Bhangra, Breakdance, Cha Cha, Flamenco, Foxtrot, House, Jive, Kizomba, Lindy Hop, Mambo, Mambo On2, Merengue, Paso Doble, Quickstep, Reggaeton, Rock and Roll, Rumba, Salsa, Samba, Street, Tango in 2/4 and 4/4 timings and Waltz. The tempo is fully variable, so some of the rhythms can be used for more than one dance. For example, a slow Samba works well for a Bossa Nova, and the Waltz pattern can be used for English, Viennese etc. The tempo slider in DanceTime Deluxe allows the speed of playback to be changed in one bar-per minute increments from extremely slow to very fast. It is designed to take each pattern from absolute beginner to professional and beyond so you can adjust the tempo as you progress with your dancing. Learn your dance steps then practice at your pace. When you are learning to dance it is really handy having your instructor count the steps for you. DanceTime Deluxe has a counting feature that works in Normal (1234...1234...) for normal dance practice, or Bar (1234...2234...3234...) mode for choreography up to 8 bars. Musicians tend to work in beats-per-minute, whereas dancers mostly work in measures, or bars-per-minute. 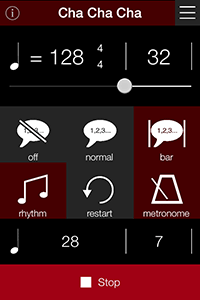 With DanceTime Deluxe, it's easy to convert between the two, whatever the time signature of the dance. DanceTime Deluxe is a great practice tool, but sometimes you need to practice your dance steps to real music! The DanceTime Deluxe app links to a dedicated website with one page per dance featured in the app. These pages contain videos of the dance, from amateur to show level, as well as carefully selected practice music on iTunes. This music has been hand-picked to offer the ideal rhythm for each of the dances. 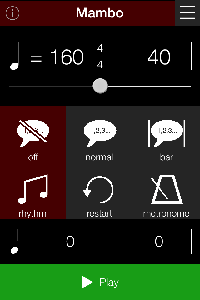 DanceTime Deluxe also features a metronome. This is a useful tool for musicians, or when you don't want the rhythm of the dance, but simply the bars and beats marked out sonically. Use the Restart Button in conjunction with the tempo slider to bring DanceTime Deluxe in time with the piece of music you're listening to. Use it to measure the BPM of the music. 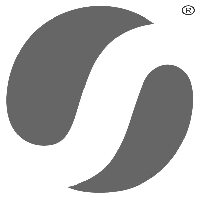 If you have rehearsed at a particular BPM and would like the piece of music editing to fit, visit the Wimbledon Sound website. Each of the rhythms in DanceTime Deluxe has been crafted with world class dancers, choreographers and producers to ensure that you are dancing to the key elements of each dance rhythm. 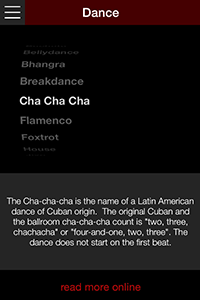 That's not just one, but 26 different dance styles covered by this app. Whatever dance you're learning or teaching, DanceTime Deluxe has the rhythm for you. © DanceTime Deluxe All rights reserved.